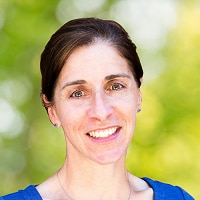 Ms. Andrilla is a research scientist and biostatistician at the WWAMI Rural Health Research Center in Seattle, Washington where she has worked since 1993. She began her work in the treatment of opioid use disorder with a study exploring the geographic and specialty distribution of U.S. physicians trained to treat opioid use disorder. In June 2016 she participated in the United Nations Office on Drugs and Crime’s meeting to develop a model for drug prevention and treatment in rural settings. Ms. Andrilla led a national study to quantify the availability of medication assisted therapy in rural areas of the United States. She has also developed a model to project the contribution of nurse practitioners and physician assistants to providing medication assisted treatment in rural areas since the Comprehensive Addiction and Recovery Act extended the ability to obtain a Drug Enforcement Administration waiver to prescribe buprenorphine to them. She has participated in numerous workforce studies of physicians, behavioral health providers, physician assistants, dentists, dental hygienists, registered nurses, advanced practice nurses, and other health care groups.